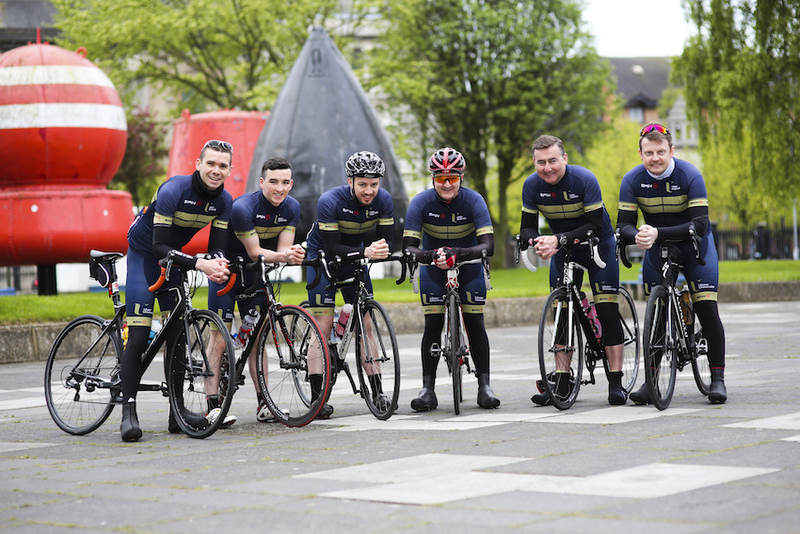 Pictured is the Ulster University team gearing up for the charity cycle ride. A team from Ulster University has embarked on a 100 mile cycle today to raise funds for Mind Your Mood, a major student mental health initiative designed to improve the health and wellbeing of students and tackle barriers to seeking support. Mind Your Mood is an innovative student-led campaign that is run in partnership with leading mental health charities Action Mental Health and Aware NI. With a recent National Union of Students report highlighting that 8 out of 10 students in UK universities experience some form of mental health issue, the Ulster University initiative will deliver a programme of support to help its students get the most out of their university experience. The route of the charity cycle will start at Ulster University’s Belfast campus traveling to Jordanstown and Coleraine, with the team crossing the finish line at the Magee campus. 165 Ulster University staff, students, alumni and friends will also run the Belfast Marathon in aid of the charity and to date have raised over £12,000.